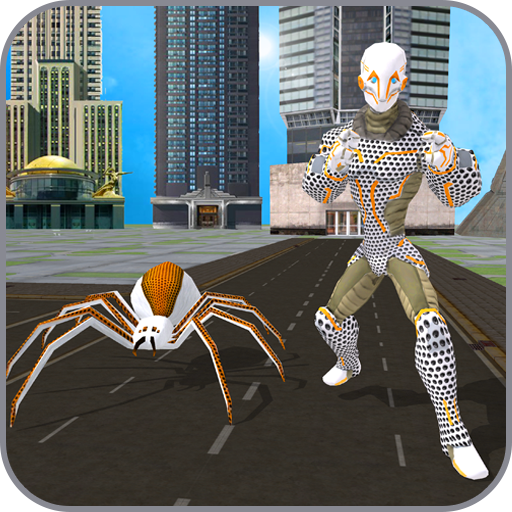 Welcome to the futuristic world of Multi Spider Robot Hero City Crime action simulator, get ready to rule the world as humanoid robot with amazing spider transform capability. This big city is under control of the Panther villain, Czarnian villain and the vicious gangsters. Unlike the other multi hero games like, multi Bat Hero, multi Captain Hero and multi Panther Hero game, here your mechanical robot body is multi programmed to mess with any kid of war situations. The citizen of the grand city need the cooperation not the confrontation, but this Panther villain and Czarnian villain planning something dangerous by his tactical mind. 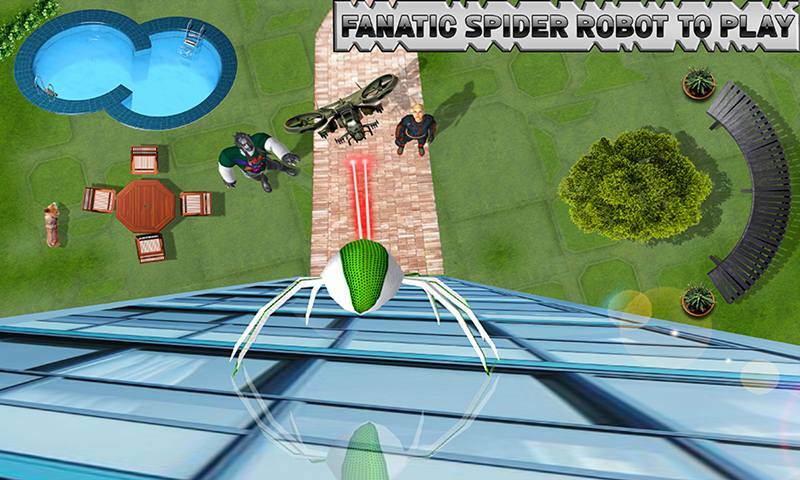 Choose your favorite futuristic robot with wild spider to transform. Show your multi-programmed fighting skills to defeat your rivals with your nimble combos and fires. Multi Spider Robot Hero City Crime is the best RPG action simulation that especially designed for the science fiction games lovers. 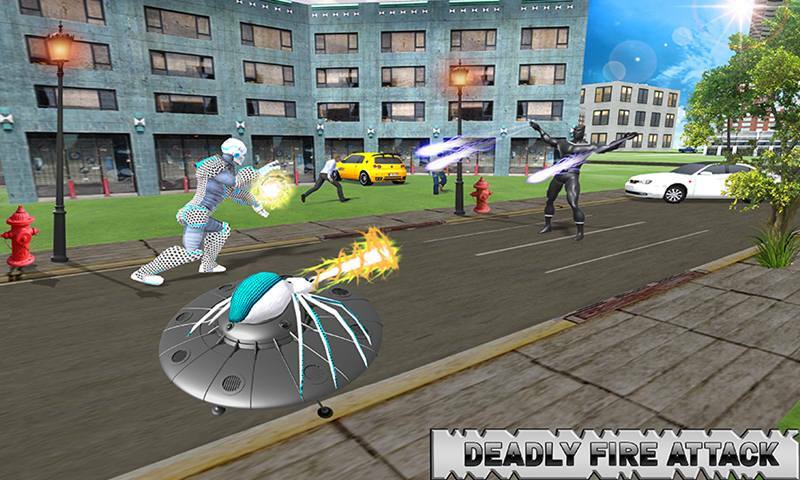 Multi Spider Robot Hero City Crime action simulator contains terrific and battle missions to play with. Choose your fascinated robot with deadly spider to confront the deadly Panther villain, Czarnian villain and other dangerous gangsters. Do not become reckless for the grand city, a complete battery inside you. Playing as a multi robot, you can attack on your opponent with your terrific martial art combos and the deadliest fire. You can also transform into the multi spider, whose poison bite and surprising fire attack can be deadliest for the any rival. 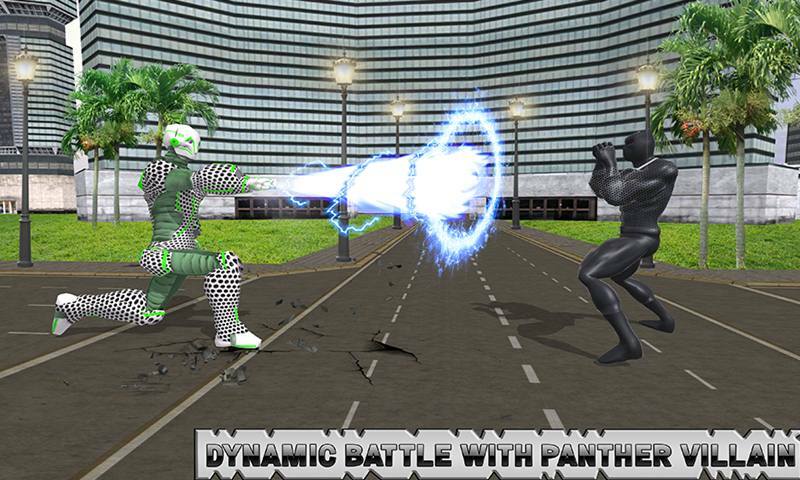 Beware from the conspiracy of the enemies, the blindsided triple fire attack by the Panther villain combos attack and head attack will take you to lose the game. You also have to face the challenging confrontation from the Czarnian criminal; he is wandering you in the city to attack. You have to defeat your enemy within time so that you can easily unlock the other multi robot and deadly spider player in this Multi Spider Robot Hero City Crime action simulation. 3D city environment and amazing camera angles made this game crazier and addictive. • Play as a multi spider and futuristic robot. • Crazy transform from futuristic robot to multi spider. • Panther villain, Czarnian criminal and bulk of gangsters to fight. 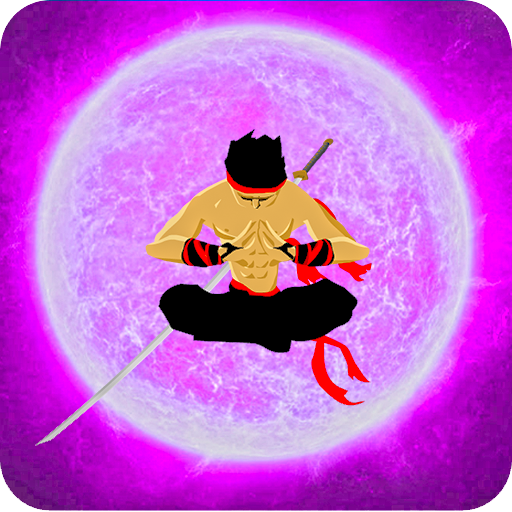 • Fascinating power attacks of players and enemies. • Terrific and angst missions to play. 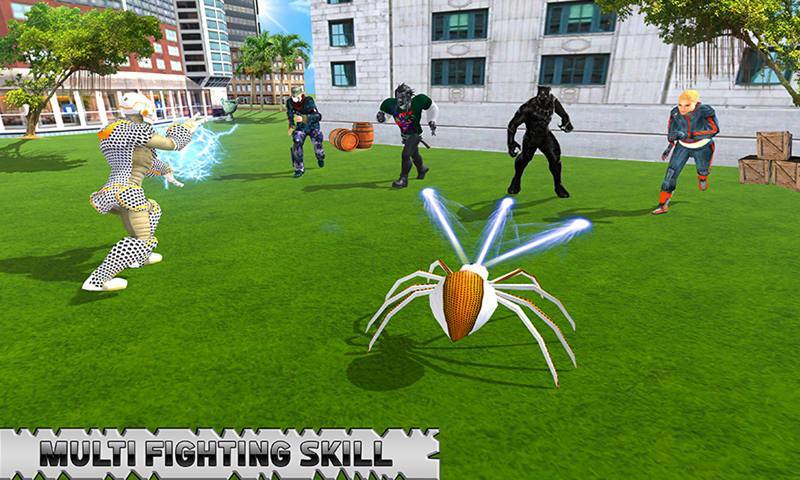 In this era of science fiction, everybody love to play robotic games but in this Multi Spider Robot Hero City Crime role-playing game, you can play the multiple role of futuristic robot as well as multi spider too. You have to show your fighting skills against the vicious rivals like, Panther villain, Czarnian and the mafia gangsters. Just grab your humanoid robot with transform spider and made a valuable entry in the gaming world of Multi Spider Robot Hero City Crime action game.